A family vacation to Walt Disney World is one of the most exciting ways to spend time as a family. But sometimes getting there in one piece is half the battle! It takes a little planning and finesse to make a road trip to the Happiest Place on Earth run smoothly. We came up with Disney-themed twists on the old family travel standby’s for entertainment on a road trip to Disney. You’ve done all the planning. You crunched numbers and scoured hotels and attractions and restaurants and all of the best deals. The tickets are loaded and the Magic Bands are squared away and now you have big eyes for magical memories. It’s finally here, and everyone is excited for a trip to Walt Disney World. Now, we have to keep everyone together in one piece on the road to Disney. It’s a delicate balance. We want to foster the family travel and theme park excitement, but not too much or we’ll hear “Are we there yet?” every five minutes. 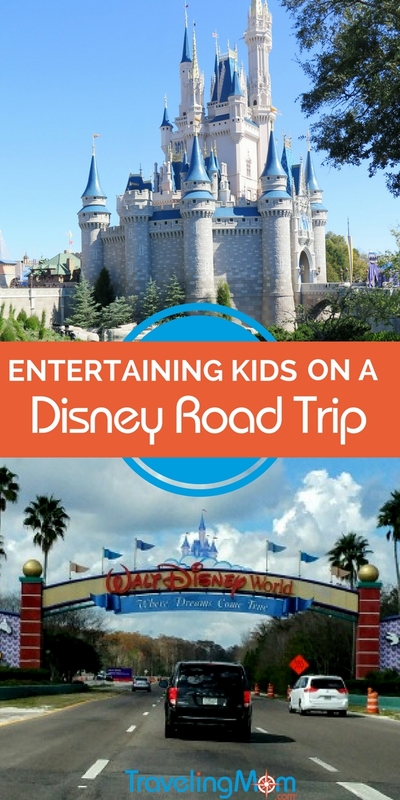 Here are ways to keep kids entertained on a road trip to Disney with just the right amount of both. A few days before the trip, print off free Walt Disney World travel journal pages. When you’re on the road, have the kids start filling out the first bits of information. Details like the date and destination, how they’re traveling and which attraction or character they’re most looking forward to will turn those pages into a great souvenir. There are a zillion websites online with free Disney printables. It’s also easy to find coloring and activity pages if you want to pack coloring supplies in a kid kit while you’re at it. Starting to get bored? Look for hidden Mickeys on the road. Search tree patterns and clouds for your favorite mouse; hidden Mickeys are quite literally, everywhere. It also trains the kids to notice their surroundings in the process if you want to steer away from electronics at first. This can also be a good activity for a stop at a rest area or restaurant for a break. Do a Disney World mashup of the famous “I Spy” and “Road Trip Bingo” games. Write your favorite character’s name vertically on a sheet of paper. Look for things on your road trip to Disney that start with and spell out the letters of your favorite character’s name. For example, to spell out M-I-C-K-E-Y, write down things like Map, Interstate, Cow, Key, Exit, and Yellow stripes when you see them. When someone gets a Bingo by completing their page, throw them a bag of fruit snacks or let them pick the next activity or movie. This one’s a no-brainer. Everyone is going to need a little down time, so bring your arsenal of Disney DVDs to watch en route. Several days before you hit the road, hold back popular DVDs in a special “road trip” case so you haven’t watched them for several days. 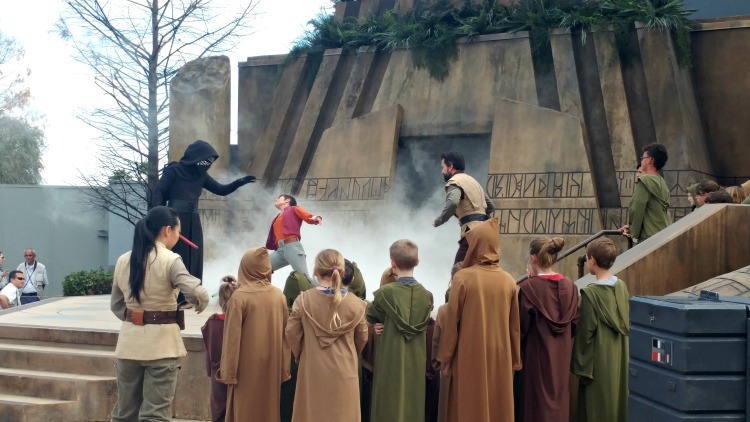 Bring the favorite movies that will get them excited for the attractions you have planned. Bring Star Wars movies if you’re going to visit Hollywood Studios, and Frozen if you’ll be going to Magic Kingdom, and so on. A bonus to Disney DVDs: built-in singalongs if you still can’t resist letting loose and belting out Let It Go. Kids never, and I mean never, get tired of looking at brochures and maps of Walt Disney World. Brochures can easily be found at rest areas and visitor centers as you approach the area. Some travel sites offer maps of the parks in .pdf form that you can print ahead of time. And with an internet connection there is of course always the My Disney Experience app, an interactive up-to-the-minute map of Walt Disney World resorts and parks, including ride wait times and reservation information all in one place. Audio books are a good option for road trips if you need a break from movies. They are also good if the kids want to rest their eyes and just listen to their favorite Disney tales before drifting off to dreamland. Many libraries carry books on tape or CDs for free with week-long checkout times or more. Need a quick break from Disney altogether on a long road trip? Have school-aged kids read actual, physical books out loud in the car. It’s a great way to keep up reading skills outside of school and enjoy the classics together as a family. Bonus points if you have a few readers that can take turns. For a great family reading list, check out Texas Traveling Mom’s post 11 Best Read-Aloud Road Trip Books for Kids. Wayfinding TravelingMom found a great Disney-themed Headbanz game complete with Mickey ears and cards with items like Mickey bars. Games are great for the car and down times at restaurants and hotel rooms. For more ideas on games for the road, check out 7 of the Most Entertaining Road Trip Games for Families. 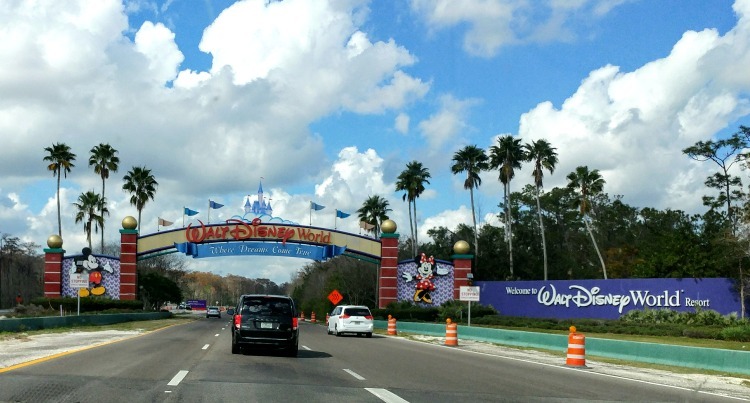 What unique ways do you use to pass the time on a road trip to Disney?